This book, primarily focussing on parasitic diseases of cats and dogs, is designed specifically for veterinary nurses and students and adopts an enquiry based approach essential for consolidating knowledge and a deep practical understanding of this important subject. 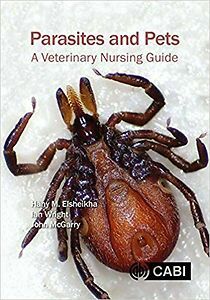 The book goes beyond the conventional discourse of parasitology books, with each chapter addressing questions commonly posed by clients. It is illustrated throughout with colour figures and readers can assess their knowledge and areas for development by completing the end of chapter self-assessment questions. In this way, the veterinary nurse will be fully equipped to professionally support veterinary surgeons in achieving optimal strategies for management of parasitic diseases of companion animals.